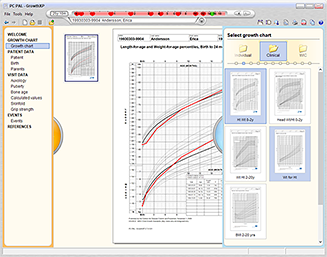 Your tool to monitor growth from infancy to adulthood. Available for integration into medical records. Customized solutions and specialized tools for rare diseases. Based upon true experience in the field. Our software is easy to use and provides added value to the end user. 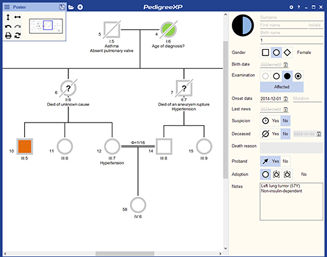 Our decision support modules are available as modules for integration into medical records. The use of a tried and proven well-structured application framework allowing both reuse and customization to match the exact needs of our clients. The partnership we establish with our customers help ensure customer satisfaction. 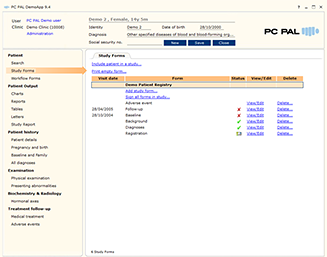 Products developed by PC PAL are used in more than 40 countries and are used by several 100,000s of users. CE registration (Class I software-only medical device) of our decision support products is a proof of our commitment to delivering high-quality solutions.